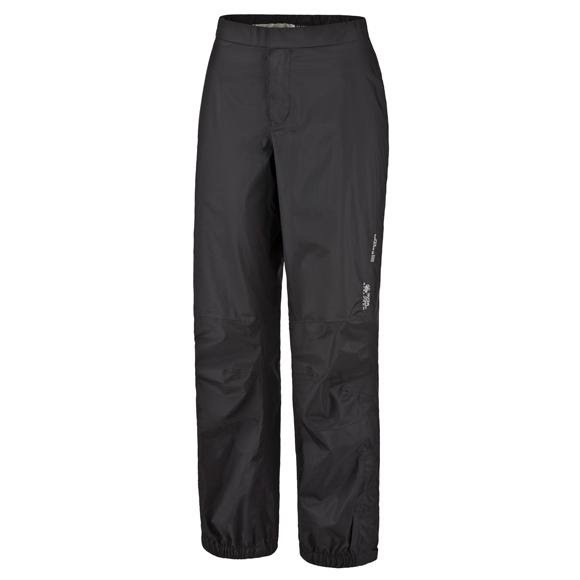 Keep dry with Mountain Hardware's waterproof Epic Pant. Designed with breathable DryQ membrane allows their body vapor to escape, so they'll stay dry on the inside, too. Abrasion-resistant nylon shell is lightweight and longwearing. Features: Partial elastic waist for comfort Articulated knees for mobility 9' ankle zips for easy on/off Imported Dry.Q Core Dry. Keep dry with Mountain Hardware&apos;s waterproof Epic Pant. Designed with breathable DryQ membrane allows their body vapor to escape, so they&apos;ll stay dry on the inside, too. Abrasion-resistant nylon shell is lightweight and longwearing. Dry.Q Core garments are made for outdoor enthusiasts whose needs don&apos;t require the elite levels of performance offered by Dry.Q Elite. Dry.Q Core offers state-of-the-art waterproof-breathability with durability and breathability metrics that meet or exceed industry standards. Unlike most outdoor apparel manufacturers, we don&apos;t source pre-finished fabrics. We engineer each Dry.Q Core fabric layer by layer, combining face and backing materials with different benefits to best meet the needs of the intended user, climate and activity. Weight 7.8 oz. / 221 g.